A pair of art fairs and several auctions in New York this week will shine a spotlight on Americana, a collecting category that sweeps in everything from Colonial-era antiques to quirky folk pieces by so-called outsider artists. Americana isn’t as globally coveted as impressionist art but enjoyed a market bump last year, spurred by record sales for Americana pieces in the Rockefeller estate and crossover curiosity from contemporary collectors reappraising self-taught artists of all styles and periods. Which Americana artists are fashionable now? One way to find out is to canvass the Winter Show, a 65-year-old fair with a broad scope that made its name in Americana. It opens to VIPs Thursday at the Park Avenue Armory and runs through Jan. 27. 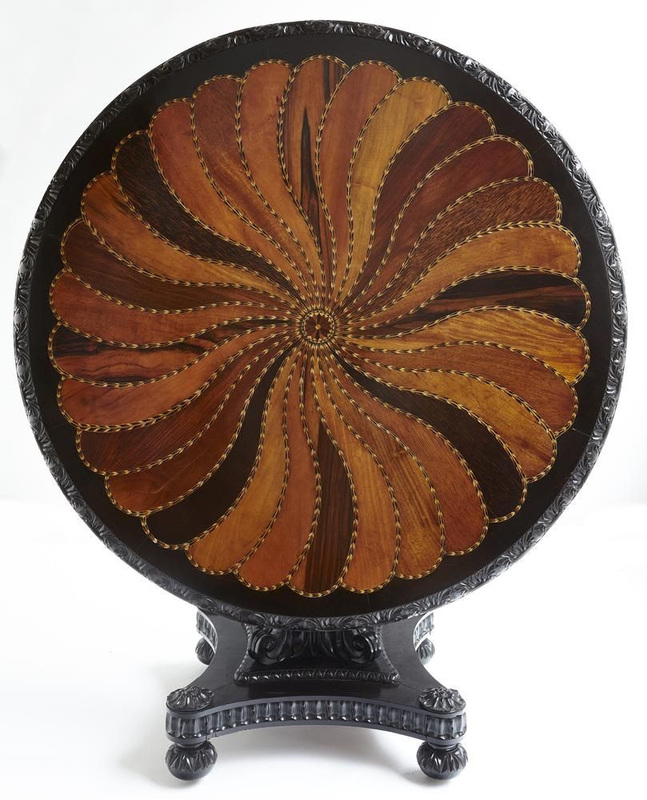 Among this year’s highlights: Cove Landing, a New York gallery, is offering an 1825 Anglo-Indian table with a pinwheel of inlaid woods for roughly $35,000. Miniaturist dealer Elle Shushan has Maxine Helfman’s “Forefathers” series of portraits of the 18 U.S. presidents who owned slaves. Encased in vintage daguerreotype cases, the leaders’ faces are cut into silhouettes that peel back to reveal African-American faces underneath. Individual portraits in Ms. Helfman’s series are $30,000 each, said Helen Allen, the Winter Show’s executive director. Another event, the Outsider Art Fair, focuses on self-taught artists and opens Thursday at the Metropolitan Pavilion in New York. Andrew Edlin, who owns the fair, said contemporary-art collectors are driving up price levels for outsider artists, such as Henry Darger, who died in 1973. Darger’s fantastical war drawings featuring cartoon-like girls once sold for $25,000, but now sell for 10 times as much because they appeal to contemporary-art buyers and “compared to Basquiat, they still look like a bargain,” Mr. Edlin said. This year’s likely standouts include drawings and ’zines by underground comics from China, such as Yan Cong of Beijing. 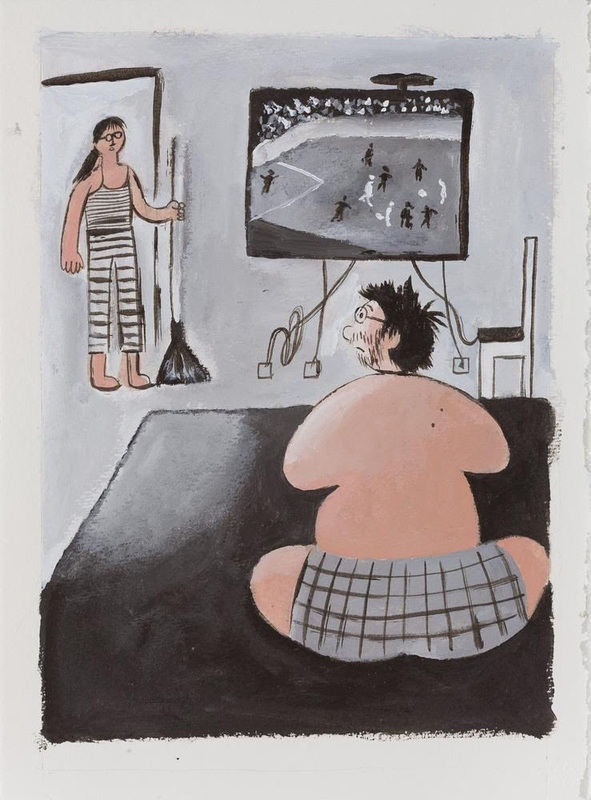 Mr. Yan’s Everyman figures evoke Philip Guston’s but aren’t as hailed in his homeland because they explore sensitive issues such as loneliness and discontent. The drawings, which cost between $200 and $500 each, are being presented by C5Art Gallery’s Yi Zhou and Brett Littman, director of the Isamu Noguchi Museum. The fair also has a large group of Bill Traylor’s rustic animal drawings priced between $80,000 and $110,000 apiece, and $8,000 surreal drawings by actor-turned-artist Jim Carrey. From England, the Henry Boxer Gallery will debut drawings by Angelika, a German woman who spent World War II in a psychiatric facility in Potsdam. Her sketches include inventive renderings of self-driving cars, architectural pavilions and carts to feed goulash to the masses. 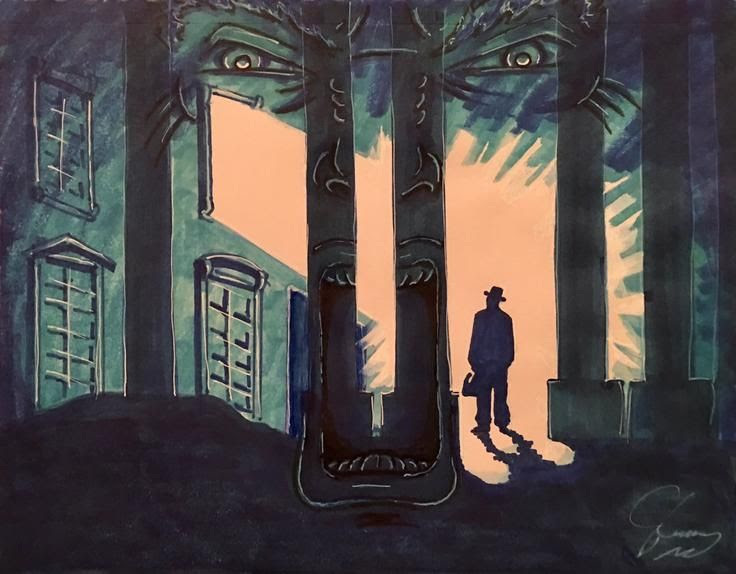 “They’re haunting and beautiful,” Rebecca Hoffman, the Outsider Art Fair director, said of Angelika’s works, which will be priced between $2,000 and $4,500. Sotheby’s and Christie’s are holding auctions through Sunday of Americana and outsider art, including weather vanes from the collection of David Teiger at Sotheby’s and paintings by former slave Clementine Hunter and others at Christie’s from the foundation of William Louis-Dreyfus, father of “Veep” star Julia Louis-Dreyfus. The Winter Show opens Thursday at the Park Avenue Armory, 643 Park Ave., New York; thewintershow.org. The Outsider Art Fair opens Thursday at the Metropolitan Pavilion, 125 W. 18th St., New York;outsiderartfair.com.